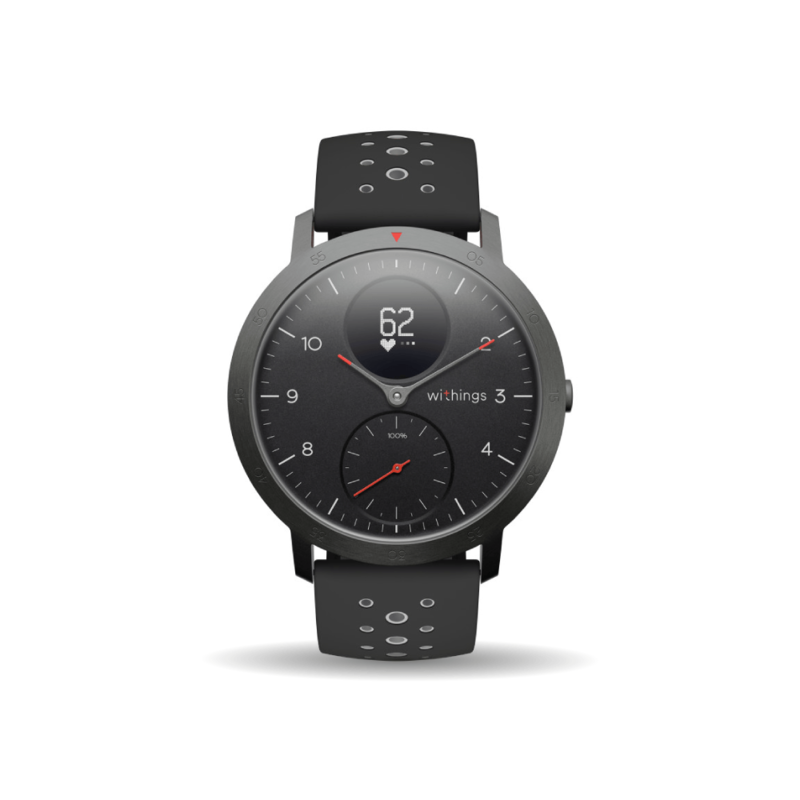 Withings reintroduced their brand to the world by announcing the new Withings Steel HR Sport. Promising better looks and better workouts, the hybrid smartwatch is more than just an activity tracker. Integrated into the device, the Firstbeat analytics engine gives users power to see their Fitness Level in the form of VO2max, the defining measure of cardiorespiratory fitness. The new device marks the first collaboration between Withings and Firstbeat. Historically, VO2max was measured directly in a laboratory during an exhaustive treadmill test. Limited access meant the beneficiaries of this insight were primarily top endurance athletes, like long distance runners, cyclists, and nordic skiers. Advances in wearable technology and analytics have opened the door and brought this valuable insight out of the laboratory and into the real world. Withings Steel HR Sport makes it easy to gain objective insight into your fitness. Your Fitness Level is updated each time you go for a run outdoors with heart rate monitoring and connected GPS activated. Firstbeat analyzes performance data recorded during your run in light of background information (height, weight, age, etc) to reveal your Fitness Level. In 2017, the American Heart Association issued an official position paper recommending that cardiorespiratory fitness (CRF), measurable as VO2max, be routinely assessed and utilized clinically as an additional vital sign. The significance of VO2max as a health indicator is due in part to the fact that captures the effectiveness of the heart, lungs, blood vessels, and muscles all working together to produce energy aerobically. The method utilized by Firstbeat to estimate VO2max has been demonstrated to be 95% accurate compared to direct measurement in a laboratory.